In today’s digitally enabled world, a dependable communications setup has never been more essential to a producer’s operation. To keep Australian farmers competitive in the 21st century, innovative and tailored communications solutions are needed. Southern Queensland is the home of intensive animal industries in Australia. The 2019 Intensive Animal Industry Conference was hosted by TSBE’s Food Leaders Australia, at the Dalby Events Centre on March 7, 2019. This event brought together intensive animal industries to share best practice, advocate for common policy change and facilitate collaboration across each sector. 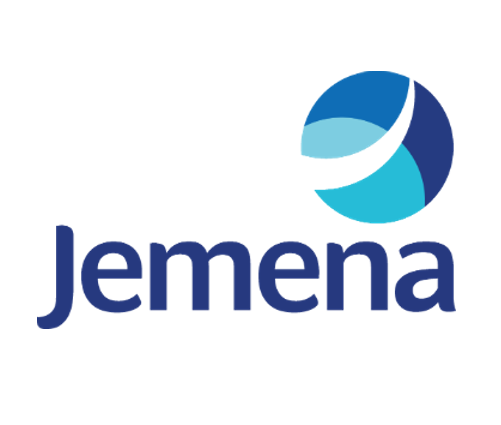 Regional and remote telecommunications for business is at the heart of our company. In line with our commitment, we were proud to be the Telecommunications Partner for the event. Close to 100 key agriculture and technology industry participants and decision makers came together to share ideas. 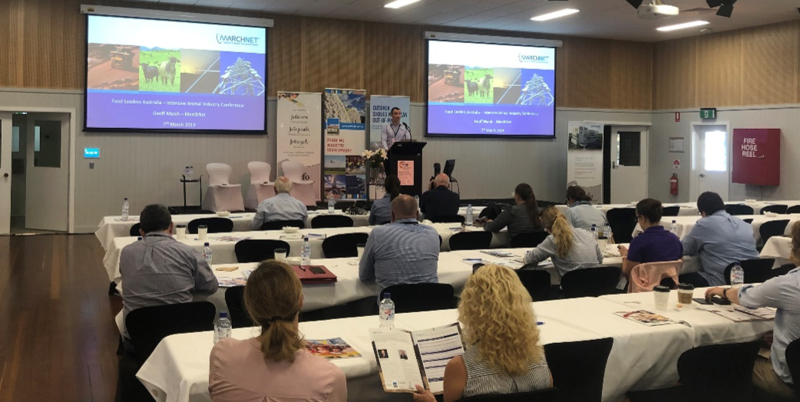 MarchNet’s very own Geoff Marsh was invited to present at the Conference, recognising our active role in driving connectivity for Intensive Animal Industry Producers not only within the region, but also throughout Australia. Geoff presented on a range of solutions on how MarchNet are delivering platforms allowing producers to deploy the latest AgTech. By using high quality internet and equipment to distribute networks locally, producers are able to access data in real time, over large landscapes. Attendees also heard from other guest speakers at the conference, including representatives from the University of Southern Queensland, Western Downs Regional Council, Mort & Co, Sunpork, Premise, WWF. 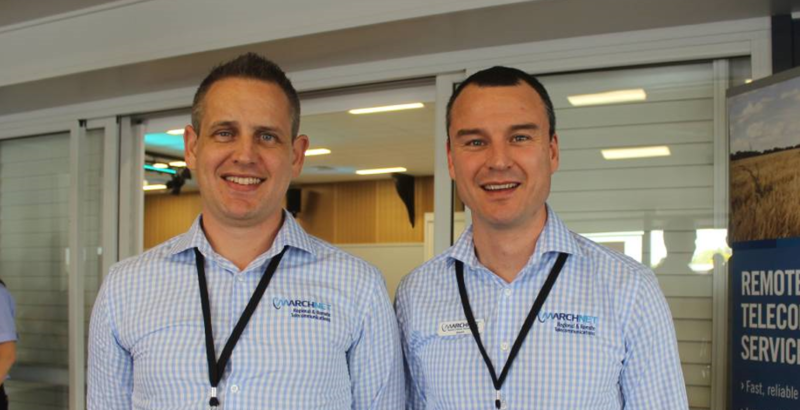 MarchNet set the benchmark for remote connectivity solutions and this earnt Geoff a position as an industry expert, alongside Professor Craig Baillie from University of Southern Queensland and Dr Margaret Jewell from Premise, on the Innovation Panel – Making Innovation Accessible. MarchNet have been a long-time friend to those in the bush, struggling with unreliable connections. The good news is, it does not have to be this way – we can get you connected to the kind of service you have been dreaming about. We know because we build them. If you missed out on attending the event but wanted to discuss connectivity requirements for your business then please call Stephen Montgomery (0438 356 264) or email sales@marchnet.com.au.